India is no more a hidden beauty and hence it is visited by tourists from all over the world today. After all, it is home to one of the wonders of the world, Taj Mahal. India is popular amongst international tourists as the land of rich history and culture and therefore, most of the tourists thronging this enthralling country fall for its historical monuments and ancient culture which are believed to have been in existence for ages. Such is the popularity of these age-old beauties that they can be found in each and every traveller's Instagram account today. Wouldn't you love to take up the photography tours in India and know about these most Instagrammed places in India? If you keep your social accounts updated with your daily life happenings, then you must add these places to your travel planner. Scroll down to learn about them. The party capital of India, Goa, undoubtedly, is one of the most visited places in India. Whenever it comes to pubs, beaches and a hippie life, Goa is the only destination which comes to mind. Therefore, it has become one of the most sought-after beach stoppages in the country over a period of time. If there is any perfect amalgamation of white sandy beaches and lively open restaurants, then it is certainly Goa. So, who wouldn't love to capture such an amazing expanse of vibrancy and upgrade their Instagram accounts? You can also go filming the beauty of its majestic forts and age-old historical monuments which narrate tales of its glorious past. How about planning a tour of Goa now and contemplating its liveliness as you gulp down a pint of chilled beer and munch on some savoury sea dishes? 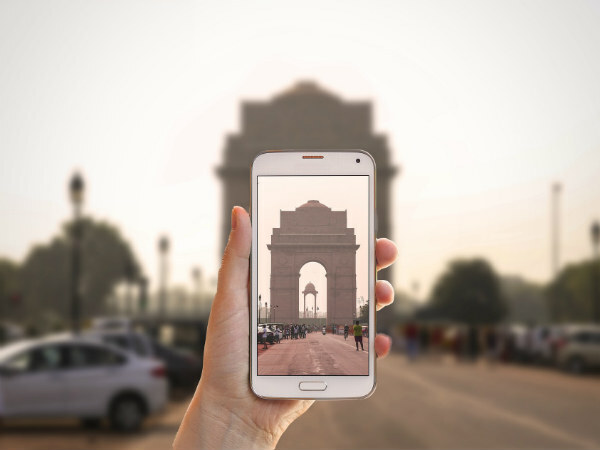 Did you know that India Gate was built as a memorial to honour the lives of the British Indian Army soldiers who were killed in the First World War? Today, it has become an identity of India and is one of the most recognisable buildings in the country. Located in the capital city Delhi, it remains flooded with tourists throughout the year. Therefore, it deserves to be added to your Instagram grid. Wouldn't you love to frame this national monument which is an architectural wonder as well? Unarguably, the list is incomplete without adding Taj Mahal. Who can forget to snap this wonder of the world? After all, it is one of the few places in India which is visited by tourists from each and every corner of the world. Did you know the Taj Mahal was built by 20000 workers and was completed in 20 years? Now you know why it is one of the invaluable historical and architectural wonders of the world. So, get yourself to this masterpiece, adjust your camera lens, focus on its grandeur and click one of the best shots ever taken. Without any second thought, it is one of the most photogenic places in the world. Royalty is not only confined to the historical beauties of Rajasthan and the presence of the larger-than-life Mysore Palace in Karnataka proves it. The official residence of the Wadiyar kings, Mysore Palace is the second most visited historical site in India after Taj Mahal. It was built in the year 1912 and is a flawless blend of the Hindu, Mughal and Gothic architectural styles. From grand audience halls to intricate roof artwork, each and every corner of this epitome of royalty deserves to be captured on the camera of every traveller. So, how about a trip to Mysore Palace this season and walking past its regal lanes and historical alleys? Yes, the whole of Kerala! How can the heavenly beauty of Kerala, which has been termed as God's Own Country, be ignored when the talk is about the most beautiful places? It is certainly objectionable if a traveller forgets to film its natural expanse which cannot be found elsewhere in India. Do you really think you can savour the beauty of its soothing backwaters, relaxing houseboat cruises and pristine beaches elsewhere in the country? If not, then Kerala should be on the top of your bucket list if you are an ardent nature lover. So, get yourself here and capture some vintage and summer shots on your camera.